Patches can make the jacket, tee or jeans. And we've got some you'll love! We love to DIY and our patches let you add a little flair to almost anything! Patch it up! 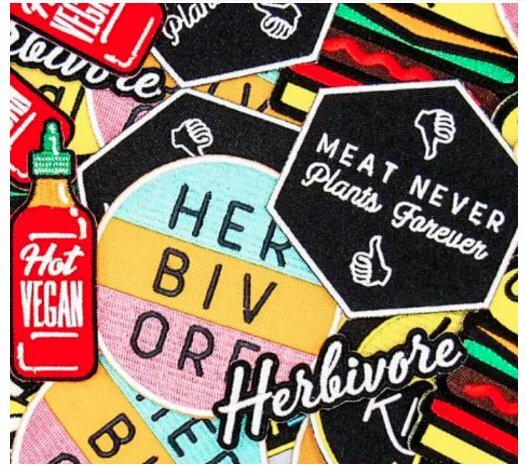 Add a vegan message to backpacks, hats, jeans, tees, and more! Shop our full Iron-On Patch collection HERE! $5 each! P.S. We Can't wait for VegOut Portland! It's just a few weeks away! Will we see you there? !